A crazy two weeks to say the least. 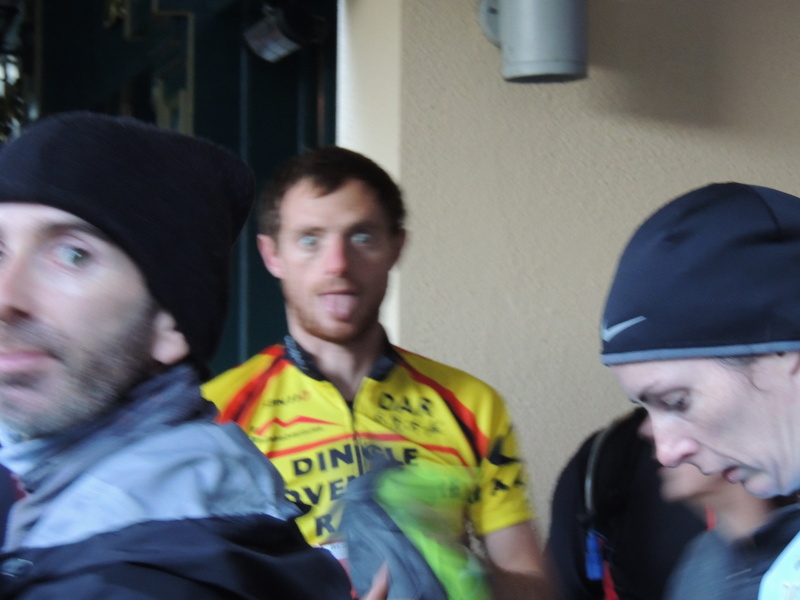 Along with some good gym sessions last week I took part in my first all nighter adventure race simulation session down in counties Clare and Limerick. An amazing experience, physically not extremely hard but the fact you are training all night is the experience needed, not to mention the navigation. A huge thanks to the lads that organised it. Mike, Sean, Kate, Jacqo, Brian, Mark, Sinead, Peter and myself all slogged our way around a 16km hiking section before hitting the water for a 13km midnight kayak and finished with some biking and hike a bike on the hills. The advice from these more experienced multi racers is just what I need and a chance to learn the right way. A more detailed course route can be seen in Sean’s video below! My leg has started to improve and I am gradually increasing things. I have given more time to weighted squats, lunges, plenty kettlebells and trx this last two weeks and I hope it will pay off. I ran today on some pretty boggy ground with a full pack and felt only slight heaviness in the leg towards the end. 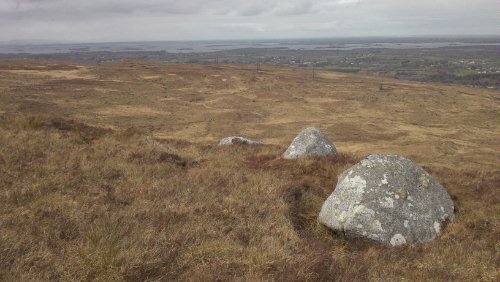 Fingers and toes crossed it will be ok.
My session today took me out past Moycullen to the hills above Uggool near Cloosh. 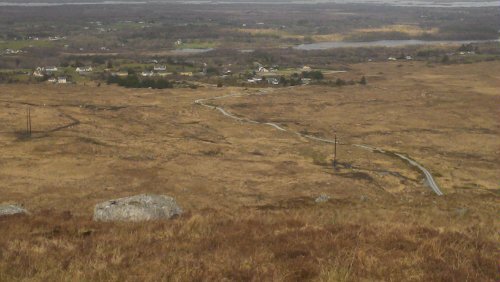 I decided to bike to the top of the first hill, ditch the bike and take off hiking across the bog, into some pretty awful terrain. 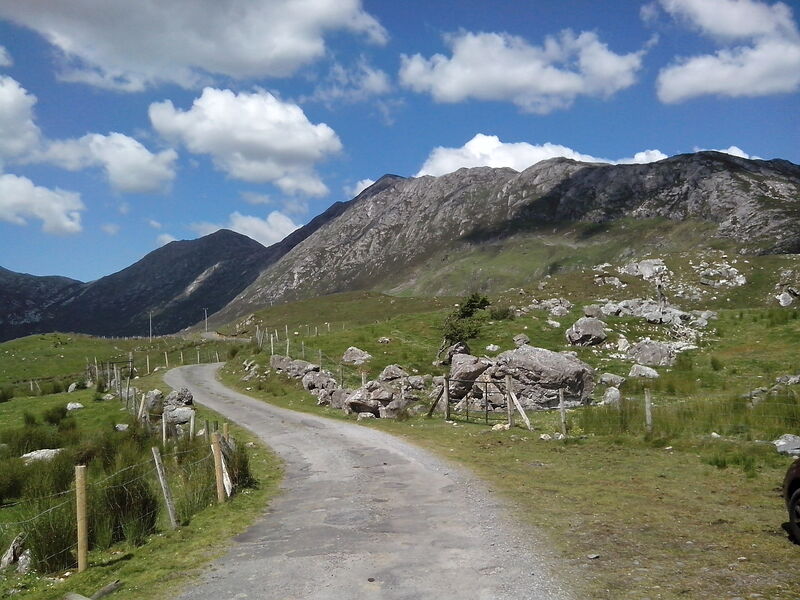 There were bog holes, fallen forests, huge rocks and tall grass, which all added to the fun. I hiked and ran a little in an 8km loop taking around an hour and a half. There were tw onice climbs invovled so decent piece of training. It was an interesting experience with the full race pack but my new Osprey Talon pack is brilliant. Not a bad way to spend your paddies day and all I’d need is one pint to celebrate after today. As can be seen in the pictures above, especially on the right, the terrain was tough today but the views were spectacular. I got back to the bike and cycled the same route home, into a head wind so by the time I had the 25km home covered I was pretty much finito. Start of the downhill, the biking up the hill was the training part, this is more the fun bit! Start of my hike/run today. Time really does fly. I am finally coming down to earth a week later. I am so grateful to everyone who wished me well. I never expected such a reaction. I spent the week wondering what is next, how do I up my training next year and do I totally ease off now for a few weeks. All great dilemmas of course, but at the same time my head has been going a little crazy. I have finally come to the conclusion that I will carry on where I left off but take a little more rest than the previous few months. After all I would go crazy without my training. It is as you all know, an addiction! So what made the difference this year? Outside of power sessions on the bike, mountain runs, long mountain races and more training I did start to perfect a few minor details that may have given me an edge on other years, or at least given me the confidence to push harder and believe in myself more than other years. I invested in tri bars (Token aero bars) for my road bike, an aero helmet (Giro Advantage) , and new trail runners. I didn’t break the bank on anything, however, the bars and helmet adjusted my position on the bike and have brought my average speed way up. The runners are amazingly comfortable and light, yet top class on the mountain. These Salomon S LAb runners are a little pricier than your normal trail runners, but worth the extra little bit. Giro helmet, token tri bars. Salomon S LAb trail runners. amazing ! The final tweaks in my armoury were physical ones. I have been going to my physio, Patrick Kearney @patrick88ie, now for a year and he has worked wonders. My ankles have become stronger and more flexible with concentrated work on my Soleus muscle in the calf. Here are Patrick’s details for any locals interested. Then there was this little beauty. No I don’t own one, but thanks to the top class gym I am a member of I have had the use of one for the last few months. I would put my great progression on the bike down to the watt bike. I am still learning how to use it to it’s greatest potential. Anyone that has a chance over the winter give it a go. My gym is Club Vitae in Oranmore and I would like to thank everyone there for making it a great place to train. There are some great athletes and personal trainers involved in the gym and always a thing or two to be learnt along the way. On race day I keep things very basic in terms of accessories, having learnt from the people around me in the past. We all start adventure racing with a pack on our backs, a big plastic bag full of food, about 20 bottles of water and 5 coats ! It isn’t long before we are stripped down to the bare essentials. A buff to keep my head warm if needed, a flipbelt with the manditory kit, a few gels, and a bottle of water with electrolyte mixed in. These few things I carry and the helmet is the only thing I change in transition. The trek bar is for immediately after the race along with the nuts and seeds. I also have these nuts and seeds with me at work for snacking during the day. The gels are essential, however it is for each indiidual to test out what works for you. I will try and do a few blog posts similar to this one, to give some information and ideas to those of you interested in progressing in any sport. I have a huge amount to learn yet but I hope for those coming up the ladder that this will be of some help. The last race of a busy season finally arrived on Saturday. I was feeling good and reckoned I had all the training I could get under my belt completed. I will let the photos tell most of the story with this one so as not to bore you too much. The link below shows some of the times. Unfortunately I have upload problems with my garmin so stats are not available yet. All in all the weather was fantastic and the crowd amazing. 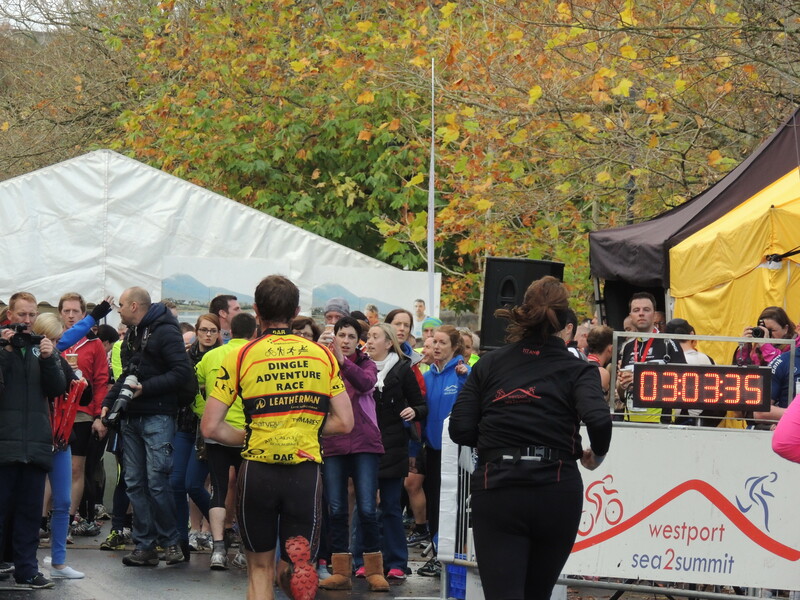 A total of 1700 athletes competed in the 2 races on offer. A hell of a lot of people going up and down Croagh Patrick mountain in one day. Looking very composed before the start! I decided to stick with my tactic of staying close to the front but not burning out in the process. I held with the lead runners over the first 4km, completing this split in 14 minutes before hitting for the mountain on the bike. Unfortunately the lead pack lost me on the bike but I soon gathered a new chase group and was happy to stay with them until the mountain. I knew I would be able to gain some ground on this section. I felt good on the mountain both going up and coming down and was delighted to see I was the fastest athlete on the day over this section. Chasing pack just before the mountain. Just at the base heading for my bike. Disaster almost struck at my bike when I couldn’t find where I had left it. Rookie mistake but thanks to Emma standing close by taking photos I was redirected and was soon on the bike ready for off. Once again the bike section turned out to be my downfall. I lost about 8 to 9 minutes on the top three during this section. Gear, bikes, helmets and years of biking experince all come into play, along with international triathlon elete athletes in the field. I am still only learning. Hopefully I can narrow a few aspects down and shave some time off my biking in the next few years. This is also a very hilly course with some crazy steep sections zapping every last ounce of energy from legs already screaming after the mountain. The final 4km run went alot better than previous years and I managed to gain one place during this split. Crossing the finish line. As always an amazing feeling. In particular it was great to see my parents and Emma cheering me across line. Even better they thought I was third, having missed a few guys cross a few minutes earlier ! A minute shaved from last years time was good and considering the quality of the field ahead of me, 8th position was very respectable. 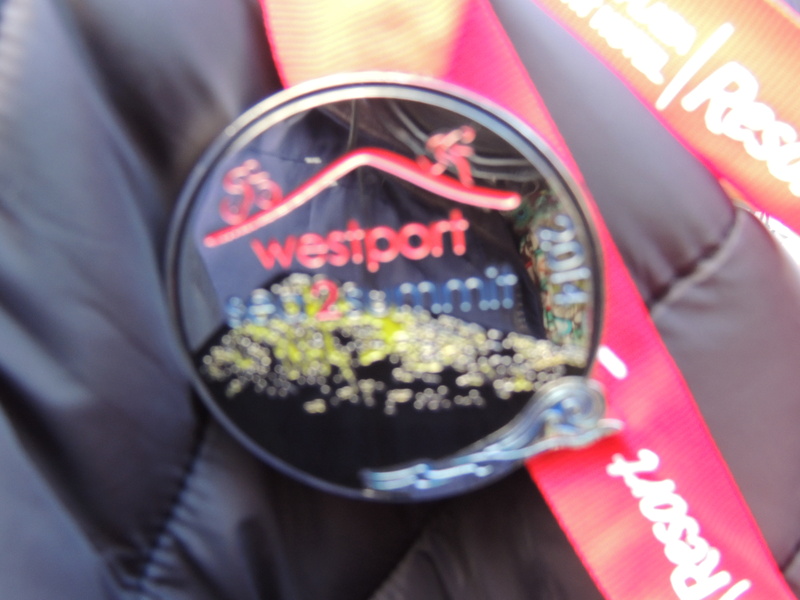 A really nice medal, a well organised event and I look forward to giving next year another whack. Thanks to the massive amount of volunteers for making this a super event in the race calender. A week tomorrow to my next big adventure. 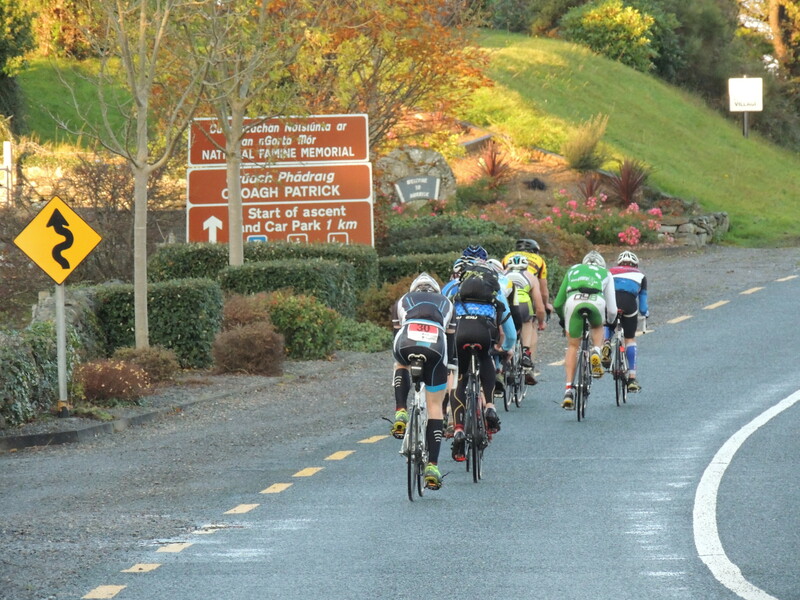 A trip up to Donegal for a race that went well last year and I hope I can improve on my time this year. Training has been good all week, apart from a little niggle in my hip while running. Hoping the foam roller will help. Today was a good brick session, with a 6km run thrown into my usual hilly 45km cycle. Possibly the hardest session this week was the interval running on wednesday. Intervals never get any easier. I just keep telling myself it is short term pain for long term results, or something like that anyhow! This weeks training can be seen in this link. Twelve Ben mountains last Tuesday. Another session at Castlehackett today. Yes it was raining again and yes it is a hilly course but its great fun. You often hear athletes say that training never gets any easier. Of course this is true and it is amazing how no matter what we do we can all push ourselves more every time. I managed a good hill session today and all up covered around 12km. Unfortunately my gps was a little off for first 4 km so not sure how good my splits were. These hill sessions tend to be mostly pain and heavy breathing. Lets hope it pays off! A spin on bike tomorrow and I can tick this week off as a good one. 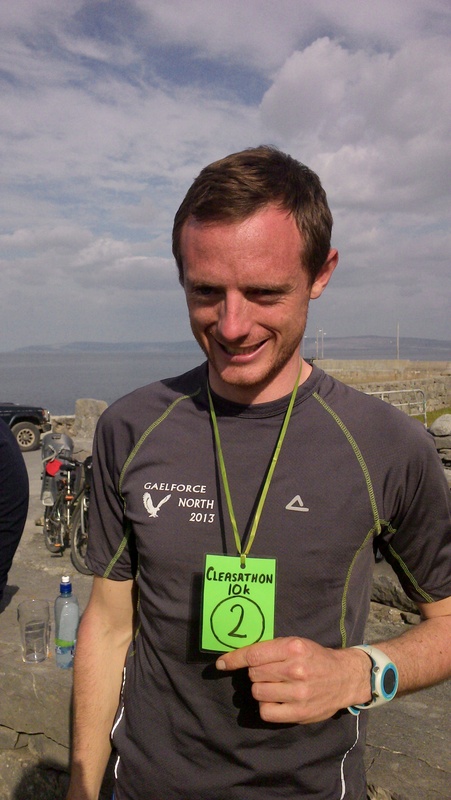 Thanks to Gaelforce for posting my race report on their site. I found a good video on their site today. 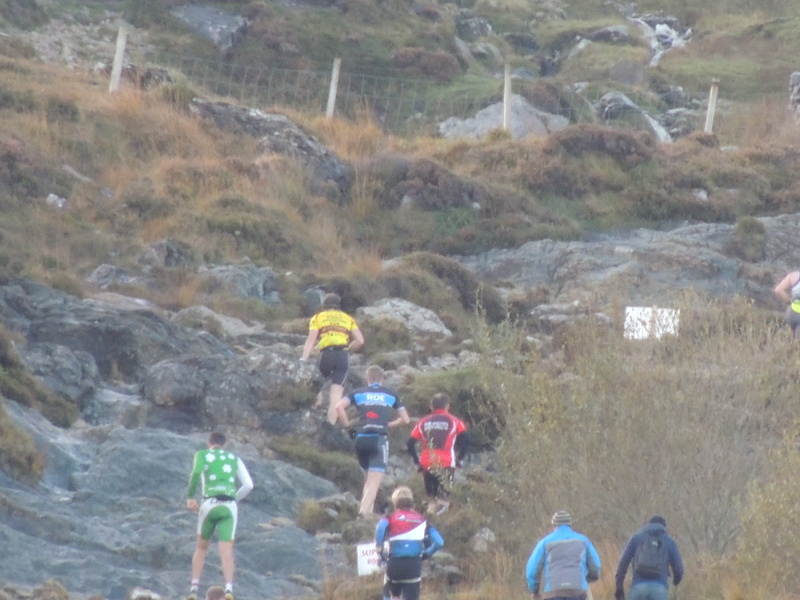 Gaelforce West in August is one of the biggest races in the season and this is a nice clip of some of the tough course. I finished work a little early today and decided to use my time to try a course I had in mind for some time. 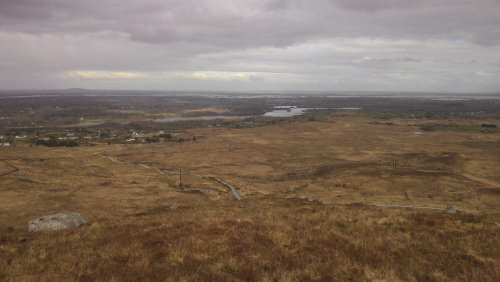 A 20k spin out on bike and then a hill, bog, trail run in some really remote countryside North West of Galway city. The area is called Cloosh and it is an area I had always wished to run. On my journey I encountered soft boggy ground, hard trails, hills, and a occasional sheep along with a rare pair of grouse! A perfect training area with mixed ground. Unfortunately my garmin wasn’t charged but all in I covered about 8km of this terrain. 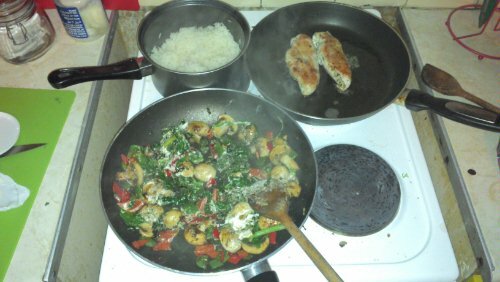 On reaching my bike I was starving. I had no gels either today. Definitely not one of better preparations, but I had a protein bar and a banana along with some fluids and flew back home on bike. A nice fast paced 48km bike/run. It is good to finally get some combined sessions in after a long winter. Time for a snack once home! 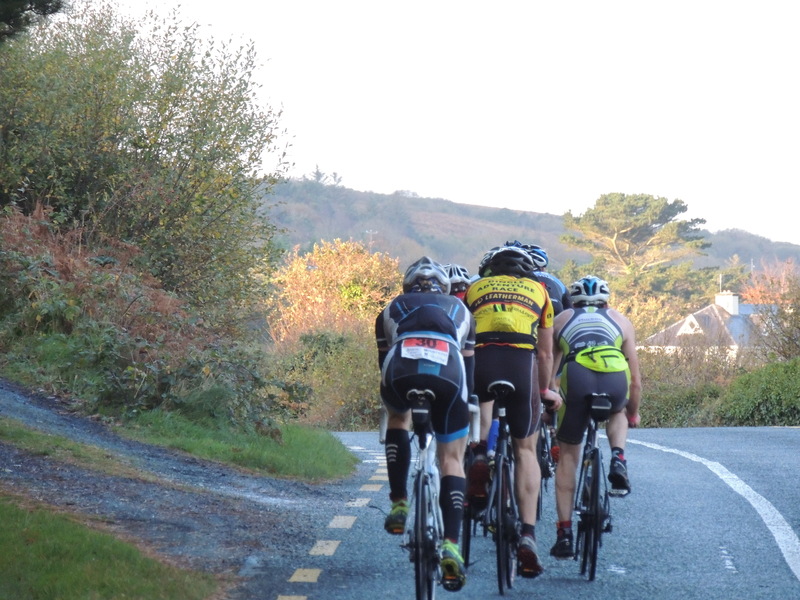 We had a great gang of 5 for the short spin to Kinvara on saturday. We arrived nice and early to soak up the atmosphere. 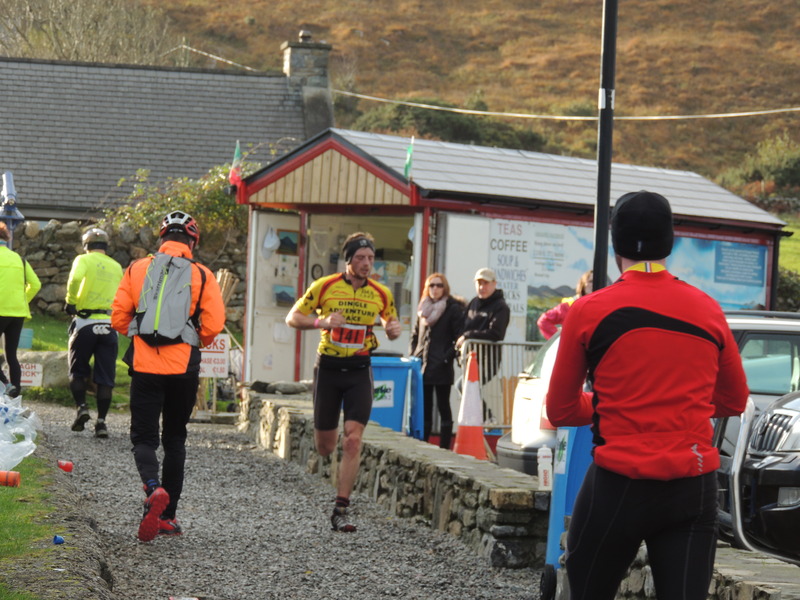 There were all sorts chats as to finishing, just finishing, whether to use the bathroom or not, t ofuel up or go for a quick warm up run. All so different individually of course. A great comradary amoungst both beginners and more experienced runners all of whom looked forward to beating themselves out on the course. I decided I would do a quick kilometre warm up, which I cut short as I bumped into a few old friends but I was on the start line just in time for the gun. I set off fast with the lead bunch. We tore down the main street and out towards the countryside and on 1km I checked my watch which was at 3.19. Yikes these dudes were fast. I knew the 2 guys in first and second would soon be distant figures but I was happy with how I was going and I would do my level best to stay under 3.45min/km for the duration. After 2 km I was sitting in 4th position and feeling good, My breathing and heart rate were still on the up but all in all my legs were doing what they were meant to do and that kept me happy! We turned left onto a side road which for the next 5 km would take us up and down a few little hills and down some nice country roads before tipping over the last hill to run the final 3km. Amazingly I was still in fourth and I had beaten my 5km time already. This, however, didnt last long as within a minute 2 runners had passed me. This didnt mean anything as I was still clocking my 3.40s and would even finish on a 3.28 . The last kilometre was torture as I pushed to beat my Pb. I could see my 2 competitors all the way to the line and was greeted as I turned for home by my two nieces, my sister and my brother in law with a big high five. This drove me up the home straight and I crossed the line in 36.40. An identical time to Athenry race on Stephens day. 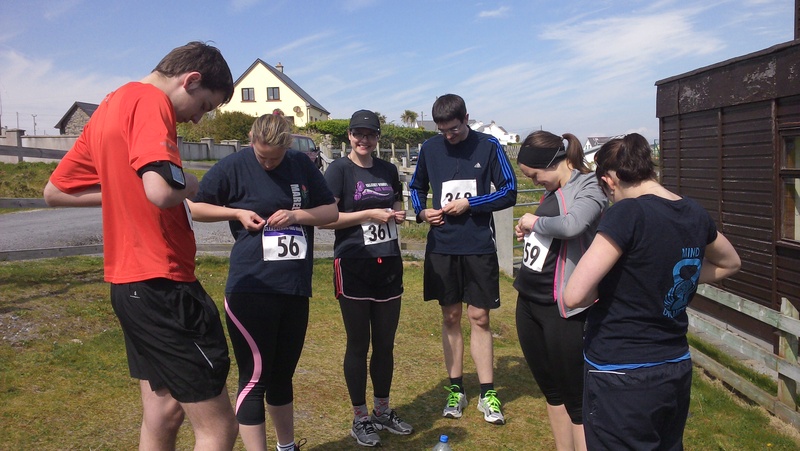 All in all I was very happy as the course is harder than Athenry. My feeling is even though I am not training for the 10km race in particular, my speed over longer distance is improving. Lots of bigger challenges lie ahead. A huge congrats to my girlfriend and my other friends who all had pb’s in the race and have shown how hard work pays off every time! As can be seen in the links above, i finished in 6th place today in an identical time to my last 10k. However I was happy with my pace throughout and felt is was a tougher course than my last 10km race in Athenry. Off for a well deserved dinner and drinks with friends now. I hope to post a more detailed race report tomorrow. Back to the hills today. A nice steady session at Castlehackett. A great course for a bit of hill training and good shelter from those nasty hail showers. Another week down and I think a nice balance of rest and training was achieved. Now for a nice dinner and chill for the evening.